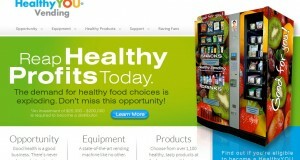 In today’s world the latest trend on the rise is healthy snack choices for vending machines. Not only are natural food companies growing their product range but customary companies such as Frito-Lay and many others are also coming up with healthier snack items for their vending machines. Companies are going beyond the typical healthy offerings such as fruits, nuts and seeds and are adding other categories of snacks such as crackers, cookies, granola bars and nutritional bars to their menu of vending machine products. Hence, the vending industry is on a rise especially in the healthy foods sector and with the menace of obesity a constant problem, especially in America, manufacturers are bound to come up with innovative solutions. H.U.M.AN. 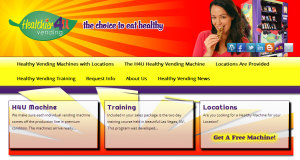 Healthy Vending is one such company that aims at fighting the problem of obesity with its hi-tech vending machines that provide nothing but healthy snack options. Rated as one of America’s Most Promising Companies, the H.U.M.A.N. Company has more than 1500 machines across 40 states and is constantly expanding. 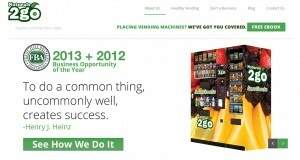 This vending machine utilizes the franchise model based on which local operatives can run separate individual machines. The HU.M.A.N. Company provides local operators with advice and suggestions as to exactly what products they should keep. This company provides the healthiest snack options in the market and keeps a close check on the content of protein, fiber, vitamins and carbohydrates in the snack options. The company caters to the needs of both high end and low end investors and has begun the creation of smaller vending machines that are bound to expand to a greater number of areas than before. Another striking aspect that makes this company and their product special and worth buying is the fact that 10% of all the profits of the company go towards fighting the battle of obesity especially in children. The H.U.M.A.N. Company’s Vending Machine carries a number of vital advantages. The first advantage is its ability to enhance profits along with providing an opportunity to save money based on the latest technology. The hi-tech technology in the H.U.M.A.N. vending machine yields more results without the owner having to perform any additional duties thus you can now make the most out of this vending machine. 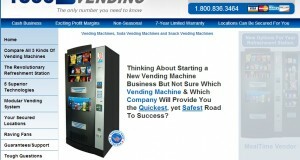 Another added benefit is the flexibility in the payment that is possible with this vending machine. It accepts credit and debits cards, cash and coins as well as school IDs and company cards thus boosting sales. 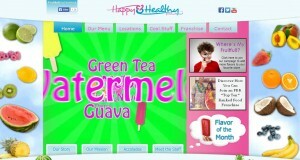 Another form of revenue that can be gained is through digital ads that are displayed on the machines’ LCD screens. The screens display excellent graphics and are therefore hard to be ignored by the customers walking past them. The machine itself is an environment friendly machine that conserves power and saves energy up to 50%. Another crucial advantage comes in the form of easy operations for the investors. The amount of time required for stocking machine is minimized and investors can attain great benefits from the increased operational efficiency that is offered by the Remote Monitoring Technology that helps in cost reduction by 20-40% in terms of gas savings and enriched tracking. Thus the H.U.M.A.N. Vending Machine offers versatility. It has easy operations, which makes this the best machine money can buy.